I’ve been dancing since I was three years old. That’s over 90% of my life. Around the time I turned 10, I decided that what I really wanted was to be a ballet dancer. I spent hours every day in dance classes, not just ballet, but other kinds too, and I put every once of energy I could find into it. The first time I had a major injury, which in retrospect was probably a disabling flare of inflammatory arthritis, I was 12. My knee swelled up and the soft tissue began to calcify, so I had to take 6 weeks off from dance. I didn’t mind getting excused from middle school PE class, but having to sit out ballet class was the worst. I had just been allowed to start wearing pointe shoes the year before and it had been one of the proudest moments of my life. Whether you’ve seen Black Swan or not, you probably know that ballet is a punishing art form, calling for an incredible amount of work, dedication, and control. The body standards for professional dancers are harsh and unforgiving, and many many dancers admit to controlling their weight through unhealthy means like laxatives, heavy smoking, and disordered eating. The funny thing is that I never fell into those habits. I was naturally thin, I had strong muscles, innate musicality, and I could forget myself in the challenge of a dance class like nowhere else. My freshman year of high school I was in a production of the Nutcracker with a local professional ballet company and I idolized the older girls who danced the principal roles (while also working on college degrees— I remember them reading psychology textbooks backstage between dances). A year later, I got sick again and then went through a growth spurt and wound up at nearly 5’10”. I knew I wasn’t going to be the next Suzanne Farrell, so my ballet career took a backseat to my interests in theater, music, and writing, but not without a great deal of mourning. I’ve continued to take ballet classes on and off as a adult and it’s one of the things that I’ve missed most during the past 9 months that I’ve been acutely sick. Dance requires and engages every ounce of my attention and creativity. It makes me feel alive and grounded in my body in a way that few other experiences do. The girls in the video below describe their techniques for “breaking in” their pointe shoes. I had my own technique, involving rubbing alcohol and a lot of bending, plus tape for my second and fourth toes and a special way of sewing on my elastic. In particular, I like that the video shows the reality of dancers’ feet. The irony? Arthritis has done far more damage to my feet than ballet ever did. I now look like I have the dancers’ feet I might have had, but from autoimmune arthritis, rather than years of classes and rehearsals. When she was 15 years old, George Balanchine asked her to dance with him in a choreography he made to be performed at a benefit for a Polio charity. In this ballet, Balanchine was a character named Polio and Tanaquil was his victim who became paralyzed and fell to the floor. 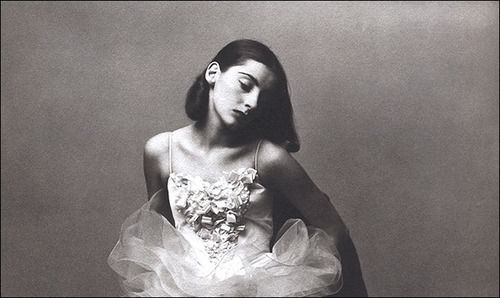 Children tossed dimes at Le Clercq, whereupon she got up and danced again. I suppose none of us is immune from broken dreams and lost opportunities, with or without chronic illness. But life goes on (I hope), becoming rich in new ways if we can be open to it. I would, however, prefer no one throw dimes at me during the process.